We provide all the gear necessary for your adventure. 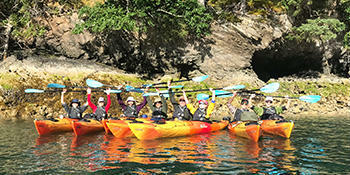 If you are kayaking, you will be provided a quality kayak, spray shirt, spray skirt, paddle, safety equipment and a guide. 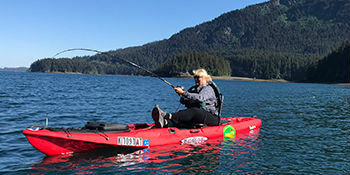 If you are kayak fishing, you will be provided a quality sit-on-top kayak, paddle, fishing gear and safety equipment. You can kayak without a guide if you prefer. All kayak fishing adventures are without a guide (age 13+). 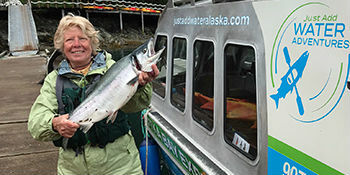 Want a bigger Alaska adventure? Give us a call at 907-299-8183 or email us.  We are happy to customize a trip for overnight stays along with providing camping, hiking, fishing and kayak gear for rent.